This item is temporarily out of stock. Please call us for an alternative suggestion, or view any of our Personal Snow Plows. Available in three sizes: 80"x20", 85"x22", and 90"x24"
In terms of features and durability, most personal plows pale in comparison to commercial ones. Fortunately, that's not the case with the FirstTrax Premium Snow Plow. The FirstTrax Premium's massive 80", 85", or 90" blade slices through driveways and back roads like a hot knife through butter. 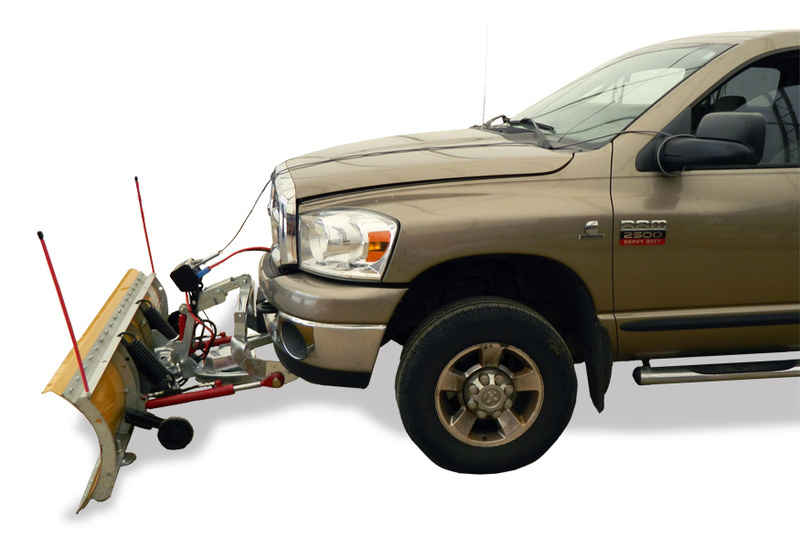 Made from galvanized tubular and sheet steel, the FirstTrax Premium Snow Plow sports a powder-coat finish that resists corrosion and rust. Just like commercial plows, the FirstTrax Premium features a hydraulic angling mechanism that lets you change the blade's angle from the heated comfort of your truck. 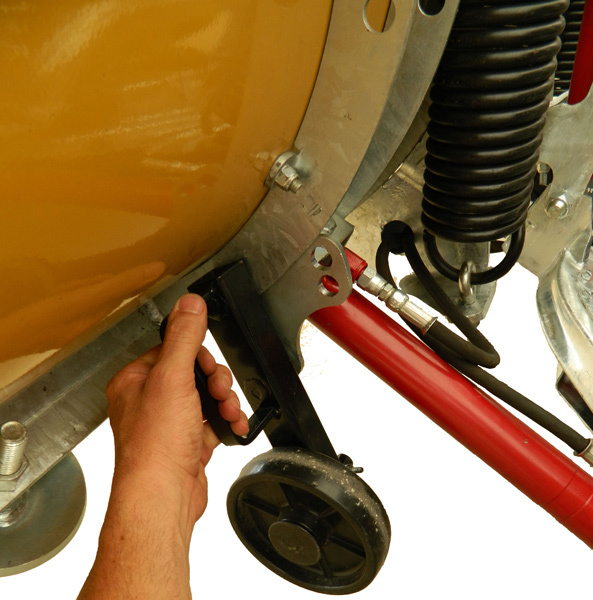 Plus, the plow's floating knuckle reduces stress on the sides of the plow. 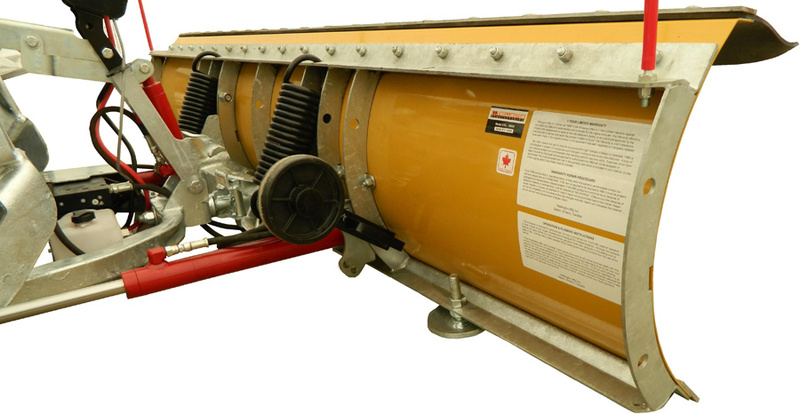 This stress reduction system, combined with a self-leveling plate, gives the plow consistent performance even under heavy load. If you want a plow that you can push hard for long periods of time, than you need the FirstTrax Premium Snow Plow. Backed by a 1-Year Warranty. 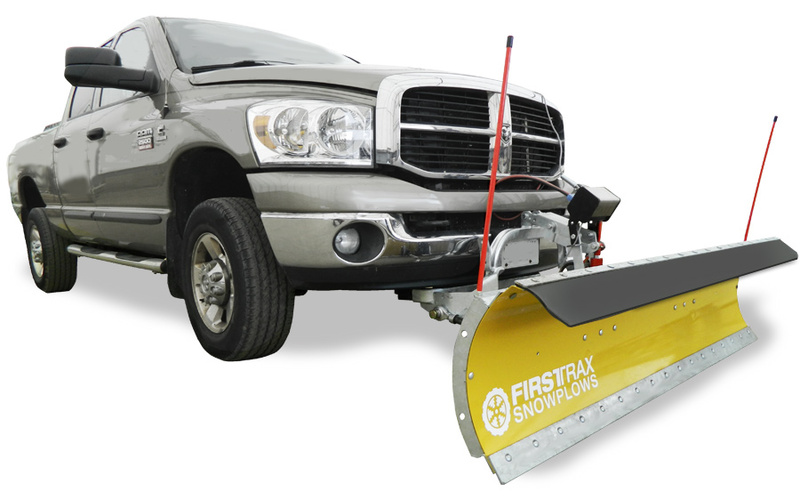 What's the difference between the FirstTrax Snow Plow and the FirstTrax Premium Snow Plow? 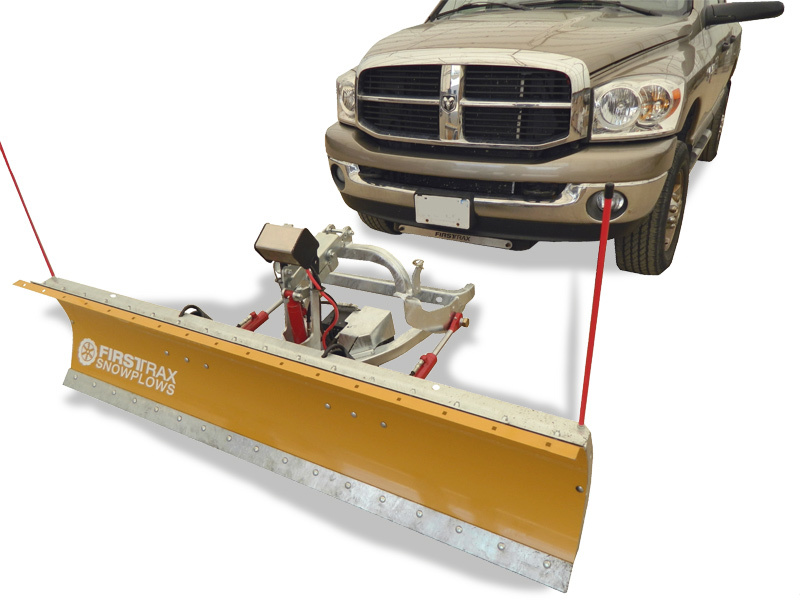 The FirstTrax Snow Plow is considered a personal snow plow and can be manually angled to the left or right. 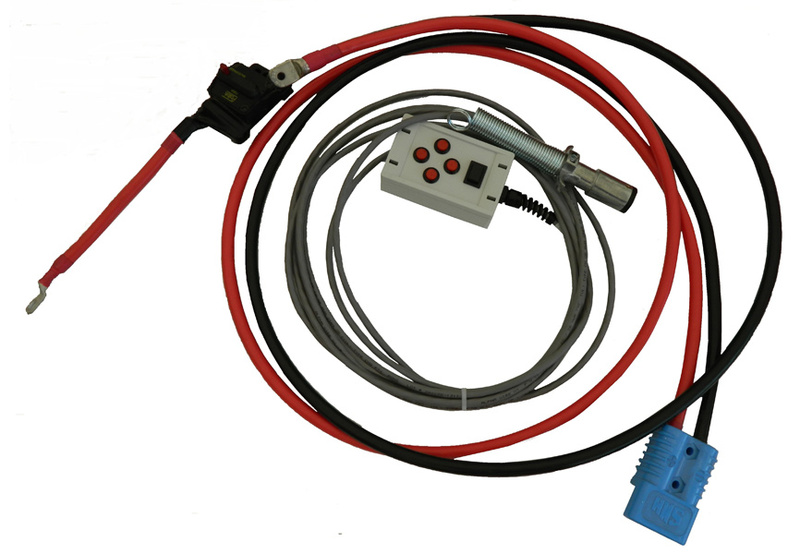 The Premium, by comparison, is the "prosumer" model (professional consumer) and features a multi-position angling system that can be controlled via the included remote control. 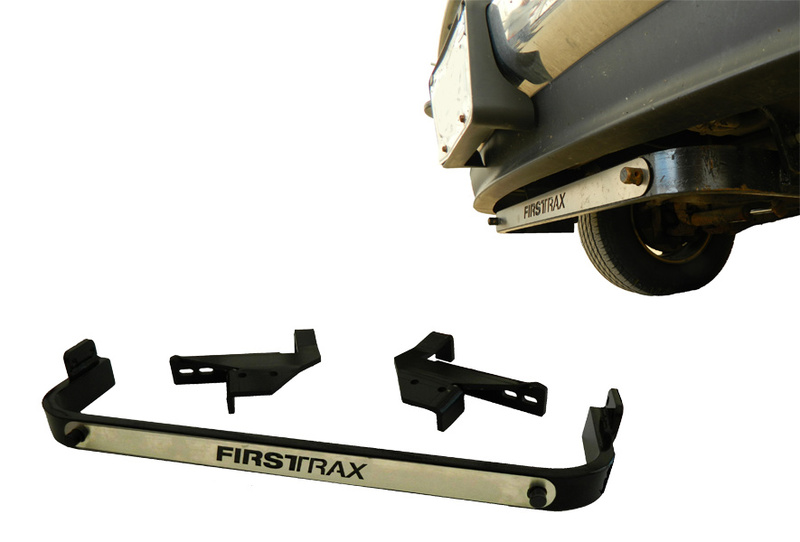 The FirstTrax Premium Snow Plow features a 1-Year Warranty. Josh from Rockford, IL, who drives a Honda Ridgeline. Great hardware for the price. The install was easy - took about 1.5 hr - but save yourself some time and look at some videos online first. Everything fit together as advertised. Hydraulics are impressive. Also fast shipping! Sam from Saginaw, MI, who drives a Toyota Tundra. James J from Bloomington, IN, who drives a Dodge Ram 2500. Top quality product. I called customer service with some questions; they were VERY helpful. Word of advice: look closely at the picture to see which brackets are for which side. I like that it connects to the truck in 2 places. Sturdy!